Thank heavens the apex court in our country has shied away from answering the question of basic structure and binding, as it were, the dreams and aspirations of the future generations of this great state of ours to what is essentially a hackneyed idea. Does the Pakistani constitution have a basic structure? Could the general will of a people be suspended cryogenically in a period of our choice? The founding father of this nation at least answered this question with an emphatic no when he vetoed a resolution by some Muslim League quarters to commit Pakistan to an Islamic polity. He sternly told them that this would amount to “censure” on every Leaguer and that the people of Pakistan alone would decide what their constitution would be. … And thank god that they have not dabbled in that horrible theory of the basic structure which would have meant closing the door on any future prospect of democratic reform in Pakistan (in my personal view). I think this is an important middle ground which has atleast restored some of the faith I had lost in our judiciary to do the right thing. It has become a cliché to praise the Supreme Court of Pakistan these days. Clichéd, because many partisan agendas find resonance within the all-embracing spectrum of judicial activism. Those who have been critical of judges turning into activists must rethink their misgivings. While the dangers of such blanket approval of the workings of a state institution are apparent, it is still a welcome change in a country known for its culture of impunity. 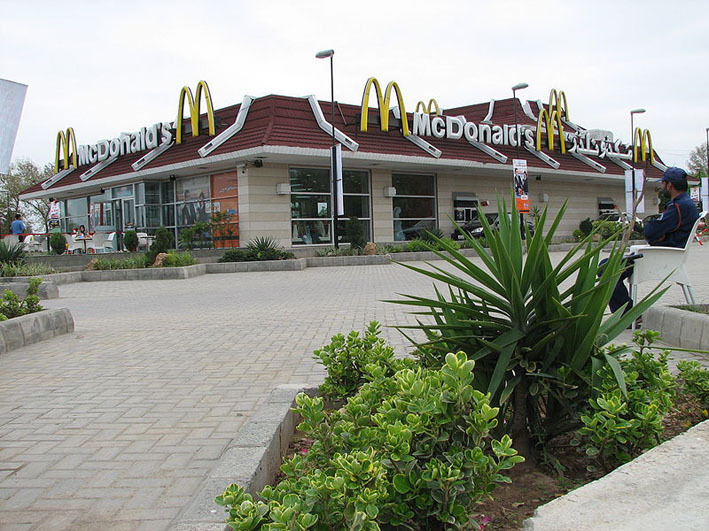 This is why the recent decision of the mighty Supreme Court to have ordered the closure of a multinational food chain restaurant in Islamabad’s ill-designed public park is path-breaking. First of all, the fact that a municipal matter reached an overburdened superior court speaks much about the dysfunctional executive that manages our lives. That the court had the wisdom to uphold the rights of ordinary Islamabadites marks a new beginning which, if taken to its logical end, would mean that all public spaces in Pakistan should come under intense judicial scrutiny. Lastly, the court’s effort to enforce accountability could very well turn out to be a new beginning in our murky public affairs. “Is there a competition going on in Pakistan between institution to earn shame and notoriety for their nation?” my colleague asked me casually while we were having some drinks and watching a news television. “We are on that path for last 40years”, I answered stubbornly. Can there anything such shameful to force you behave that stubborn over your national pride? There is, hold your breath, Pakistan Federal Union of Journalists, the top body of media and custodian of ‘freedom of speech and civil liberties’, in a press release issued by its Secretary General, Mr Shamsul Islam Naz, has “officially’ appreciated the blocking of the Facebook Website. We are grateful to Babar Mirza who has translated an interview given by Justice Jawwad S. Khawaja to Sohail Waraich in June 2007 which is recorded in Waraich’s book ‘Adlia ke Arooj-o-Zawaal ki Kahani’. The interview is a must read for all those who are interested in Pakistan’s politics and institutions. A biographical note is also available for those who wish to know more about the life and times of J. Khawaja. The latter resigned when J. Iftikhar Chauhdry was illegally deposed by the Musharraf regime. Later, he was part of the lawyers and judges movement and he was re-inducted into the Supreme Court after J. Chauhdry was restored as the Chief Justice in 2009. The interview also explains why Justice Khawaja took oath unde the 2000 PCO during the Musharraf regime. Just as in any other part of the world, Punjab too has its share of stigma. Leaders from other provinces and many historians allege that the people of Punjab are not brave or courageous. Only time will establish the truth or falsehood of this allegation, but, in the recent judicial crisis, only one judge in Pakistan resigned from his office and that judge was a Punjabi from the Lahore High Court, Justice Jawwad S. Khawaja. Perhaps this was why Sindhi nationalist Rasool Bux Paleejo had to admit that Punjab’s strong stance in the judicial crisis had compensated for her many misgivings in the past. The Punjabi judges who decided to reinstate Chief Justice Iftikhar Muhammad Chaudhry have further helped clear the judiciary of many an allegation and perhaps the mistakes made by Punjabi judges in the past would now be remedied. Bold and fearless though the role of judiciary has been, the first drop of rain was Justice Khawaja and that will always remain to his credit. EVER since returning to live in Pakistan a few months ago, I’ve been struck by the pervasive negativity of views here about our country. Whether in conversation, on television, or in the newspaper, what I hear and read often tends to boil down to the same message: our country is going down the drain. But I’m not convinced that it is. I don’t dispute for a second that these are hard times. Thousands of us died last year in terrorist attacks. Hundreds of thousands were displaced by military operations. Most of us don’t have access to decent schools. Inflation is squeezing our poor and middle class. Millions are, if not starving, hungry. Even those who can afford electricity don’t have it half the day. Yet despite this desperate suffering, Pakistan is also something of a miracle. It’s worth pointing this out, because incessant pessimism robs us of an important resource: hope.